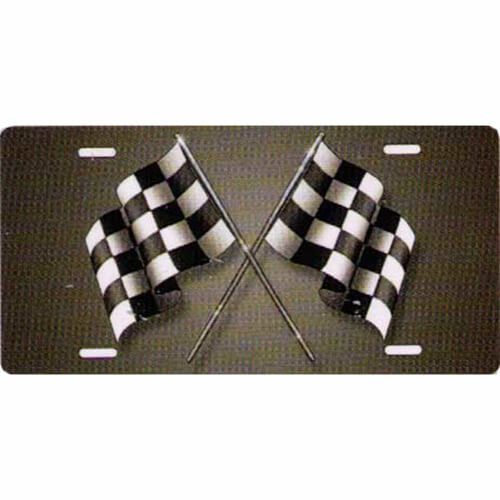 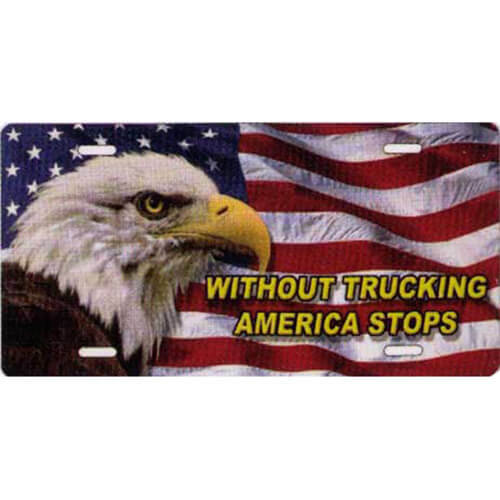 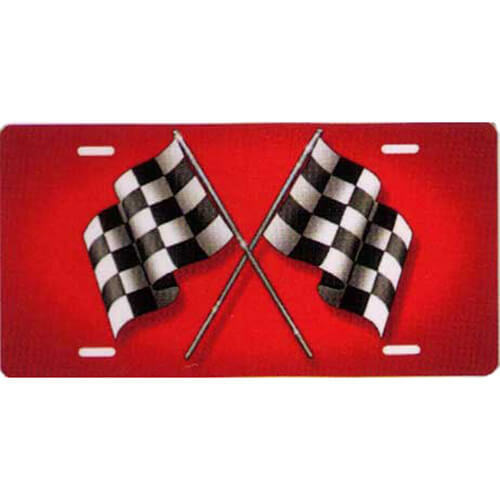 Flag themed novelty license plates. 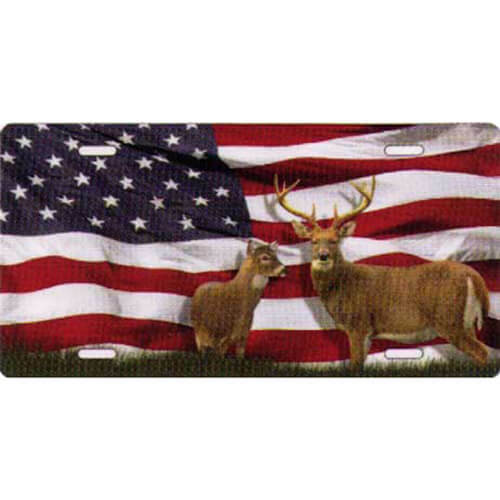 Buck and doe on a USA flag background. 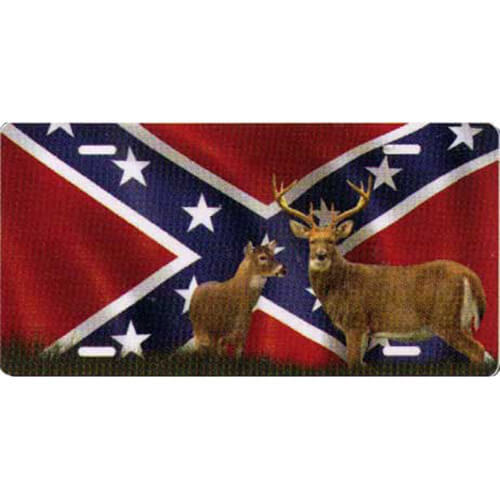 Buck and doe on a rebel flag background. 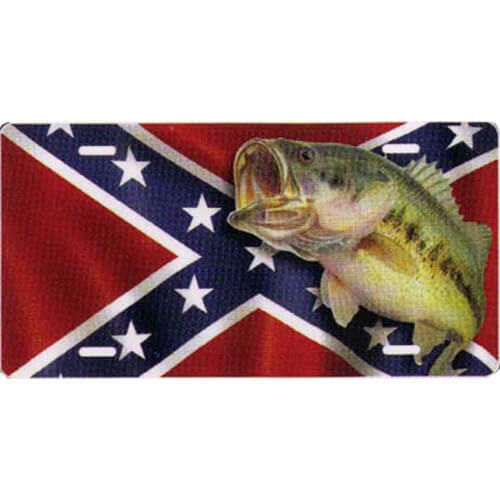 Largemouth bass on a rebel flag background. 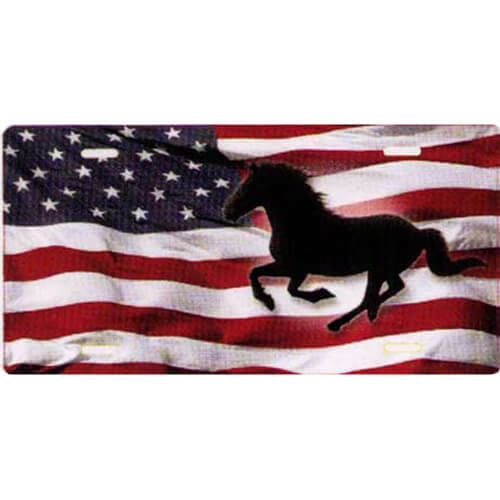 Horse silhouette on a United States flag background. 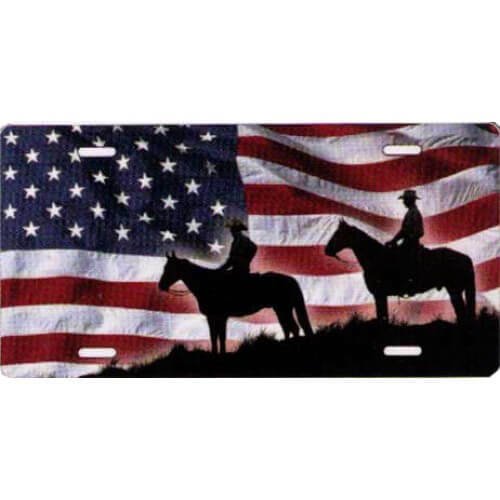 Cowboys on horseback silhouette on a United States flag background. 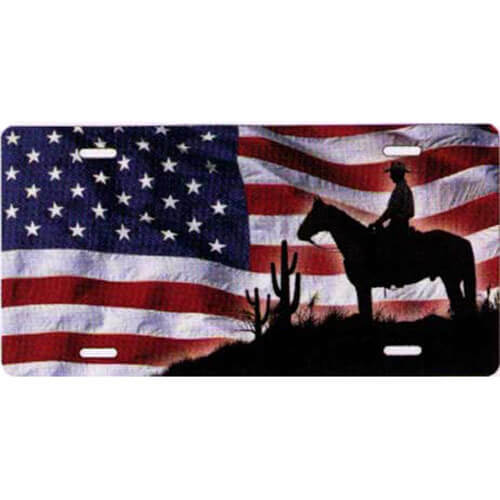 Cowboy on horseback silhouette on a United States flag background. 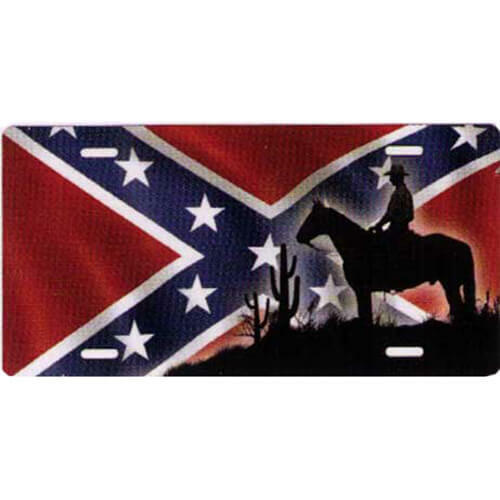 "Rebelicious" on rebel flag lips. 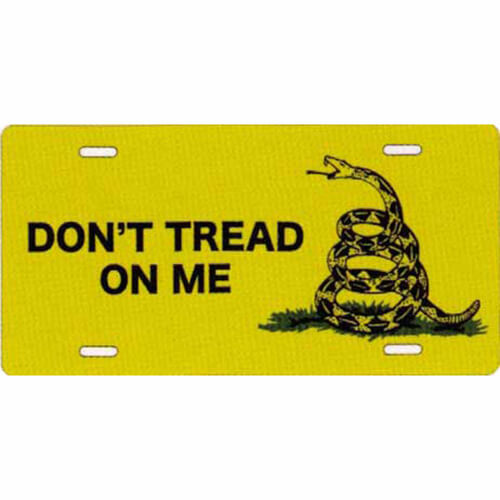 "Don't tread on me" flag with rattlesnake on a yellow background.